I created this for a client as a custom elven costume. The pieces are all inspired by historical clothing, as well as fantasy and Lord of the Rings, overall creating a really fun blend of historical and fantasy elements. 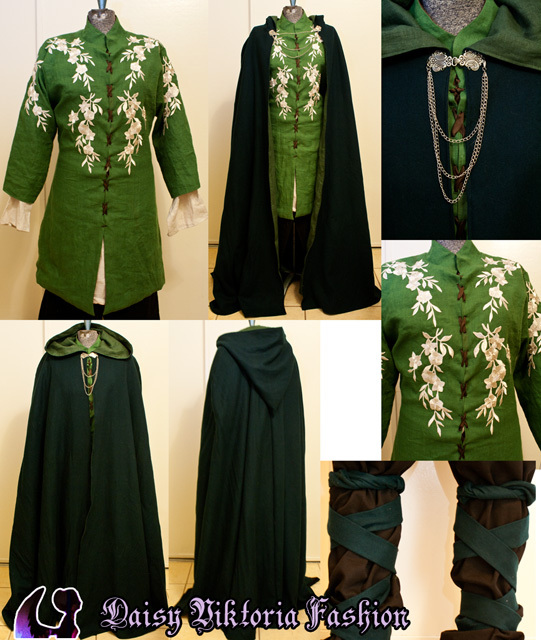 I created for him: a lined wool cloak with custom clasp, an over tunic/cotehardie with hand-finished applique, under tunic, pants, and leg wraps.